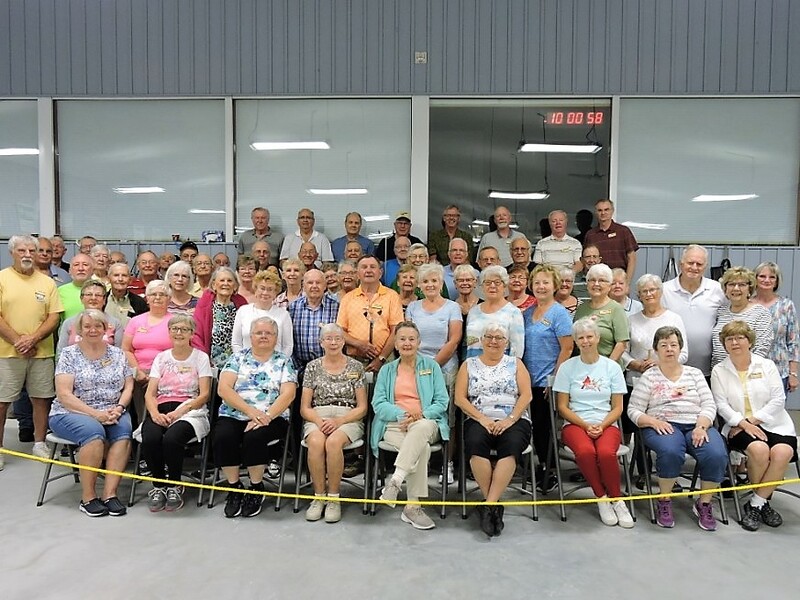 Glen Peltier Reports on the Success of the Golden Acres Shuffleboard Club. Glen Peltier Speaks: Ever since I walked into the building and saw eight men working on the floor, painting and lining the courts, taking so much time to get the courts just right, I knew something good was about to happen. For three years, the progress has been nothing short of a wonderful experience for all of us. Our sixteen courts are full every Monday morning and almost full each Wed. night. I have always felt you can have as much fun the first time you play shuffleboard as you can over the years you play. The people at Blenheim prove that to me every week!! They are always happy and are getting very good at the game. They are very easy to teach and many are going to play at other sites. They are entering tournaments around the province and have held the senior games the last two years and have been awarded them again for next year. Considering 80% of the members never played shuffleboard before the club opened, this has been a miracle and great for the town of Blenheim. Roger Kellam, his wife Carol, and his board have made all this possible. The people listen to Roger and are happy to let him lead the way. I am so proud of the Golden Acres Shuffleboard Club. Glen Peltier. 2018 06 29. 1 Response to Glen Peltier Reports on the Success of the Golden Acres Shuffleboard Club. The OSA is proud on how Blenheim is coming along with so much enthusiasm, we hope they will travel out to more tournaments next season. With such a good trainer, Glen, they will be truly hard to beat. But just to compete and meet other players is a learning curve on its own. Keep up the good work Blenheim. Carl Rogerson, Pres. OSA. / Maureen Bryan, Sec. OSA.